Over the past 30 years of being a plumber in Laguna Niguel, I’ve heard every noise you can imagine come out of pipes. Most people expect to hear a certain number of noises throughout a house. However, some sounds indicate the need to contact a professional plumber, and it is important to understand those noises and what they mean. Below are some essential tips on how to differentiate normal sounds in a home from those that may indicate trouble. When a faucet is turned off, regardless of where it is located in the home, it is never normal to hear a loud “water hammer” sound. The latter is a phrase used to describe a distinct banging noise that happens when pipes are beginning to feel the stress of use and age. This water hammer sound may also occur if a clog has formed in the air chambers of the pipe valves. If this is the case, the chambers must be cleaned and any worn out parts must be replaced. Loud banging almost always indicates the need for evaluation by plumbing professionals. Many homeowners are apt to hear running water noise, if it is present, after they retire and the house is quiet. A continuous stop and start pattern of running water is most likely from a commode. However, this noise may also be heard near the home’s water heater. Regardless of its source, it should be analyzed by a plumber to determine whether or not a problem is underway. Pipes always shake and move to some degree when water is being run, but if this shaking is very noticeable, the pipes may have loosened over time. Items such as mounting straps and similar fixtures may need to be replaced, and therefore a shaking sound should never be ignored. A ticking sound is usually the home’s water meter. Although it may seem as if the sound is coming from within the home, this sound is transmitted by the pipes within the dwelling. If it is indeed the meter, the ticking sound will only be heard when someone in the house is running water. Although it may be harmless, it could also be a sign that meter replacement is needed. A loud gurgling noise coming from a kitchen or bathroom drain is typically never a good sign: this sound indicates air pockets that are situated around clogs in the pipes. 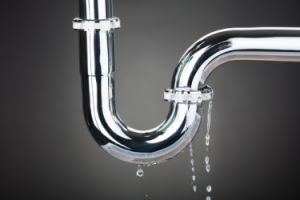 If the gurgling occurs with all the home’s drains, however, the drain vents are usually the problem. If only one drain makes this noise, simply unclogging the pipe may be all that is necessary. If a noise similar to a whistle or a high-pitched whirring sound is present, the bathroom plumbing is almost always to blame. If the home has baseboard hot-water heating units or radiators, however, there may also be a problem with air in the water line. A malfunctioning or worn out pressure reducing valve in the bathroom or kitchen may be the culprit as well. Additionally, the pressure reducing valve for the entire dwelling may require an adjustment, or it may have simply exceeded its lifespan and must therefore be replaced with a new unit. Whatever the issue is, further damage may occur if plumbing noises are ignored. For this reason, it is best to have this and any strange sound evaluated promptly by a plumber in Laguna Niguel. This will ensure that small, inexpensive repairs do not turn into costly and time-consuming projects.